Well, the relievers are just dropping like flies today. 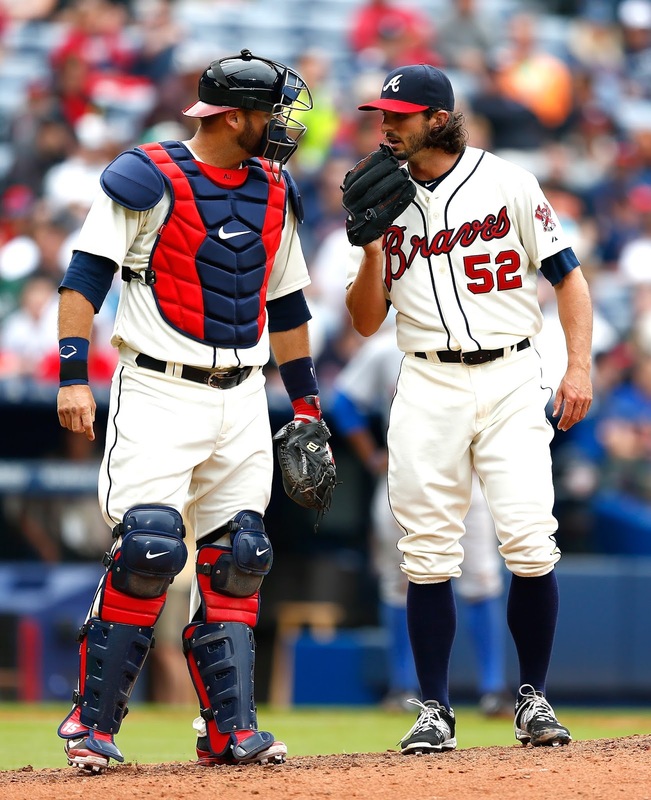 Shortly after news dropped that David Carpenter and Ryan Kelly had been cut, we found out that southpaw Andrew McKirahan will miss 2016 after he was diagnosed with a torn UCL. He will see Dr. James Andrews next and will soon go under the knife, which would be his second after undergoing his first Tommy John surgery in 2012. McKirahan was picked up by the Braves on waivers last March after the Marlins selected him in the previous winter’s Rule 5 draft. The Braves were one of many teams interested in the lefty, who opened the year with the Braves before being suspended for PED use two weeks into the season. The test had been conducted the previous month while he was in Miami’s camp, but it was a blow to McKirahan’s placement with the Braves. It ultimately turned into a convenient thing for Atlanta because it allowed them to remove him from the roster for half of the year without losing him. After a brief minor league run (theoretically, a rehab assignment), McKirahan returned in late July and spent the remainder of 2015 with the Braves. Overall, he had very poor results with a 3.82 FIP and 106 cFIP to go with an ERA of nearly 6, but it should be noted that anyone’s ERA will take a hit when your BABIP is .409. Expected to be a suitable option against lefties, McKirahan was definitely better against them than he was vs. righties but was hardly a shutdown option. Almost exclusively a fastball/slider pitcher, McKirahan also has a rarely used sinker that he utilized more as the season progressed. The fastball has enough sinking movement to help induce a good number of groundballs and with his decent control, he certainly had a shot to surprise some people this spring before the news that he was injured. His injury likely doesn’t change the prospects of any other pitcher as McKirahan had a long road to make this roster. One thing that could have helped him would have been the need to roster him to start the year to fulfil the Rule 5 requirements. As you might know, players that are picked in the Rule 5 (even when they are acquired via waivers) must spend the season after being selected on a major league roster. There is a loophole and we saw that with Daniel Winkler* as the Braves punted the Rule 5 decision a season by selecting a player who would spend most of 2015 on the DL. In McKirahan’s case, the suspension threw an added wrench into the mess, but the injury exception also applies here. In order to fulfil the requirements of a Rule 5 player, the team needs to either needs to keep the player on the roster the enter season (without a demotion) or keep him on the active roster AT LEAST 90 days. The remainder of the season can be spent on the disabled list or, as in McKirahan’s case, the restricted list. So, let’s do the math. The season began on April 6, 2015 and the suspension was announced on April 20. That gives us 14 days. He was reinstated from the restricted list on July 20 and remained on the roster through the final day of the regular season, October 4. That’s 76 days. Add the two time periods together and you get exactly 90 days, which seems pretty damn fishy when you think about it. Because he reached 90 days, the Braves were free to demote him to the minors and begin using his full compliment of options. Instead, his injury will open a spot on the 40-man roster. *Winkler’s case is different and I wanted to go over that. Winkler was activated off the disabled list on September 10, 2015. The time frame between that date and the end of the season is 24 days. To keep Winkler, the Braves will have to keep him on the active roster for the first 66 days of the season (which takes us to June 9).